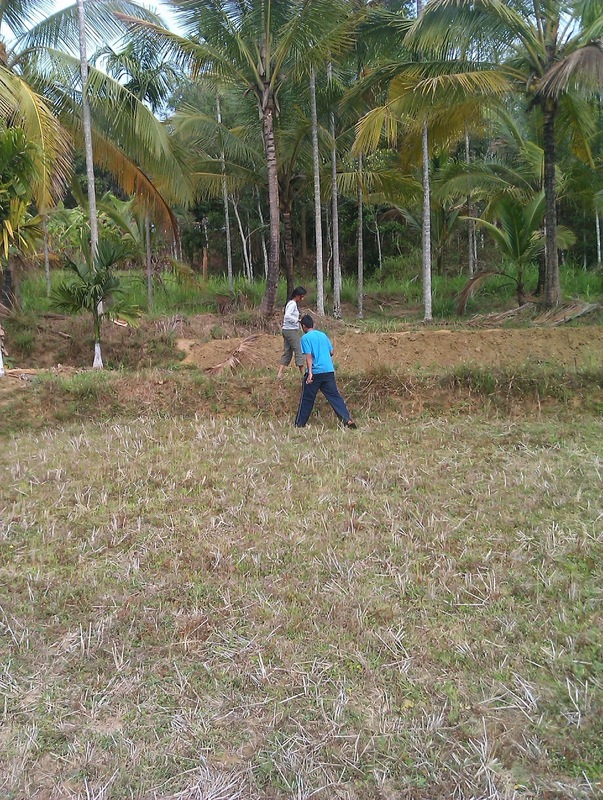 It was a couple of years back when me and three of my close friends decided to take a road trip to Wayanad. Its been few years and my memory is a little blur (P.S : I have a pathetic memory) We started early in the morning and drove through the NICE road to reach Mysore. 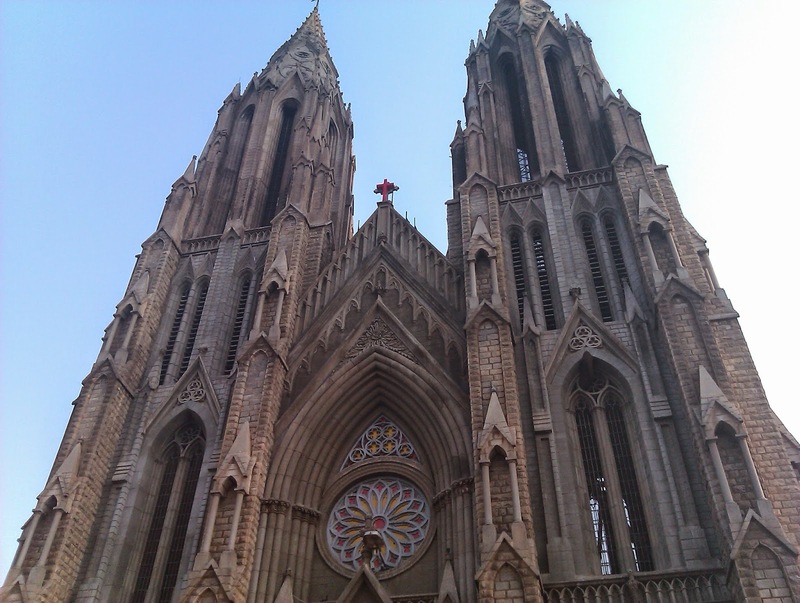 We stopped at Mysore for breakfast and also visited the famous St. Philomena's church there. The church was built in 1933 and it stands at in place of the one that was built in 1843.It was designed by a Frenchman Daly in a Neo Gothic style and well as can you can see, its marvelous. After a brief pit stop, we were on our way to the Wayanad again, it was a beautiful journey as we passed a forest and drove through hair pin bends on the ghat section. 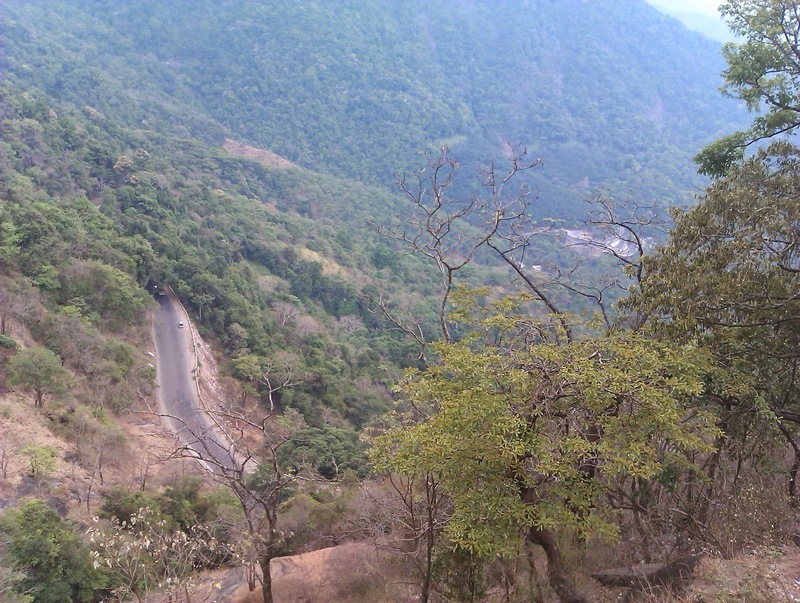 There were lush green mountains and one can see the curvy roads as you drive up the mountain, the view was breathtaking. 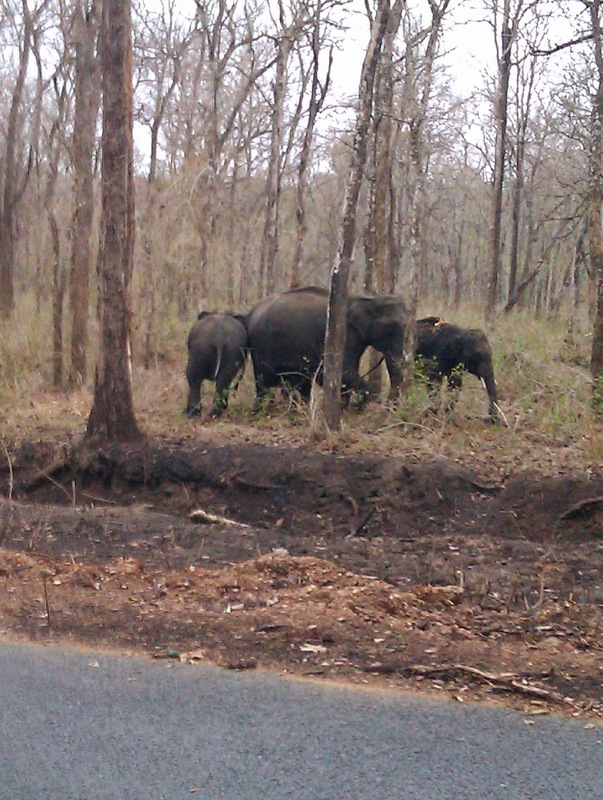 On our way through we sighted a herd of elephant and we got out of the car to get a closer look. Although its not always advisable to do that around elephant especially if they have a little one with them but this particular group seemed harmless. In fact they pretty much did not pay us any heed and continued with whatever they were doing. We also spotted some Indian Bisons which are just more muscular and buffed up versions of the buffaloes back in my native :). 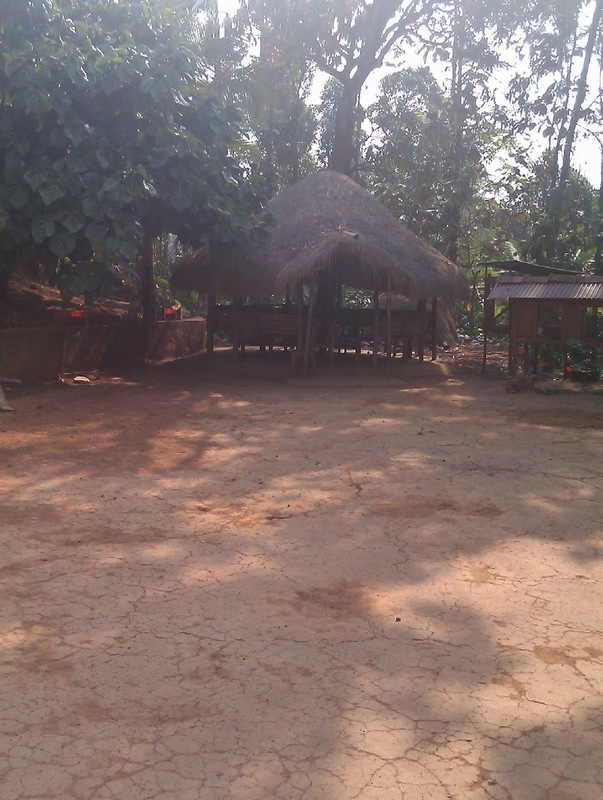 We finally reached our homestay and it remained to be the highlight of the trip. 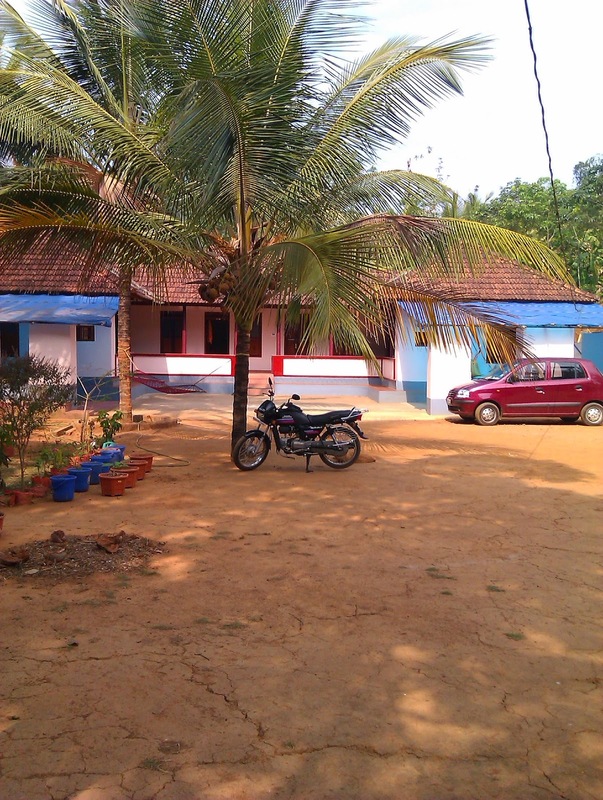 It was just a perfect house located amidst the rubber tree plantation with nothing but greenery, fields and mountains around.The house was built in classic Kerala style with slanted tiled roof which added to its elegance. The host family was very friendly and gave us a small tour of the property. 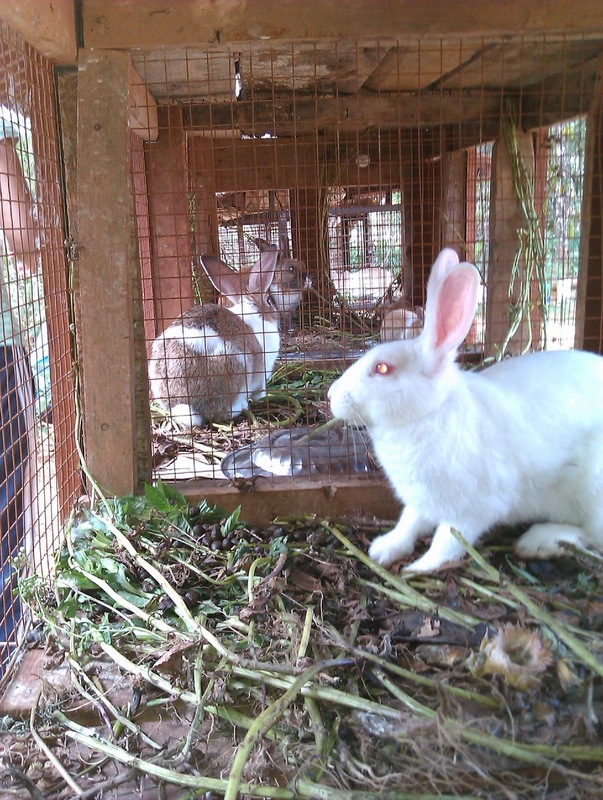 They also had few rabbits and one of them had just given birth to few tiny ones. And it was the first time I saw the tiny rabbit of the size of a mouse. 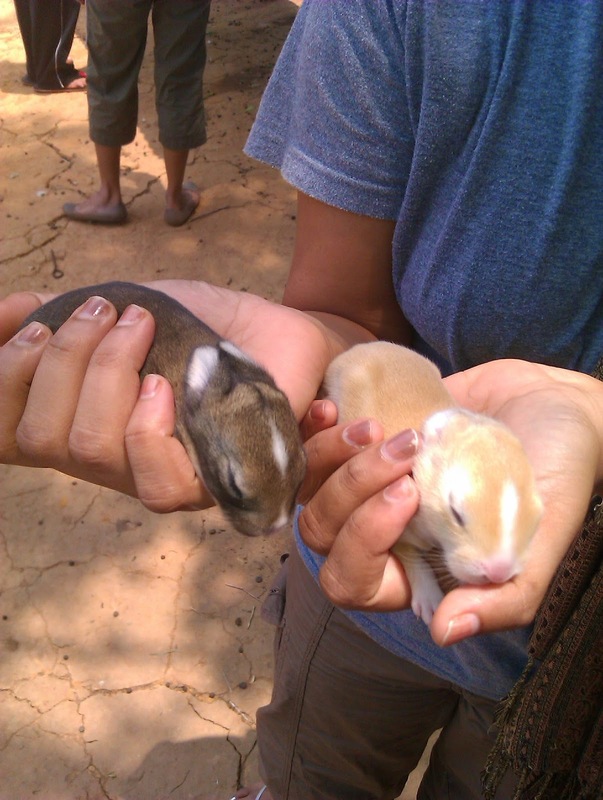 Others held them in their hand whereas I was scared as I am around the new born human babies. They look fragile. I just admired them from a distance while the mamma rabbit eyed my friends, guess she wasn't very happy. 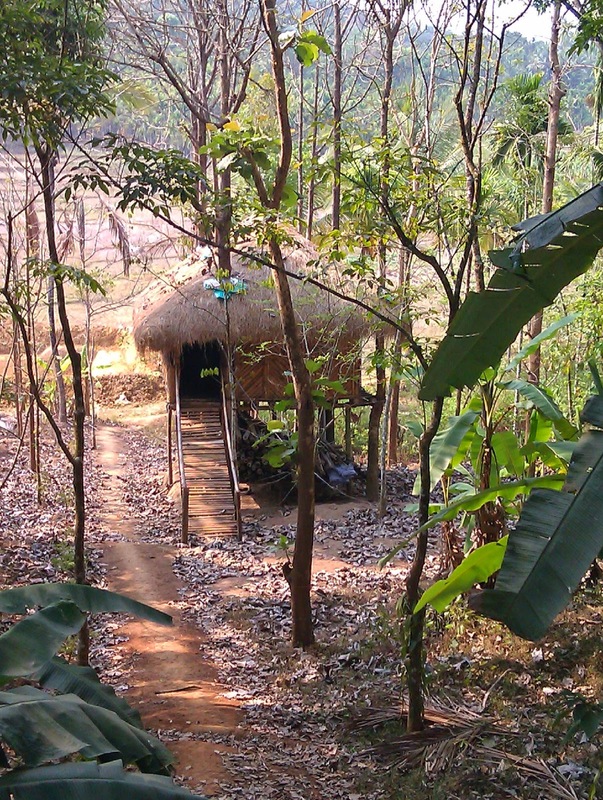 There was also a small tree house but that was under maintenance and we could not stay there. We spent the the evening exploring the property, it felt great. 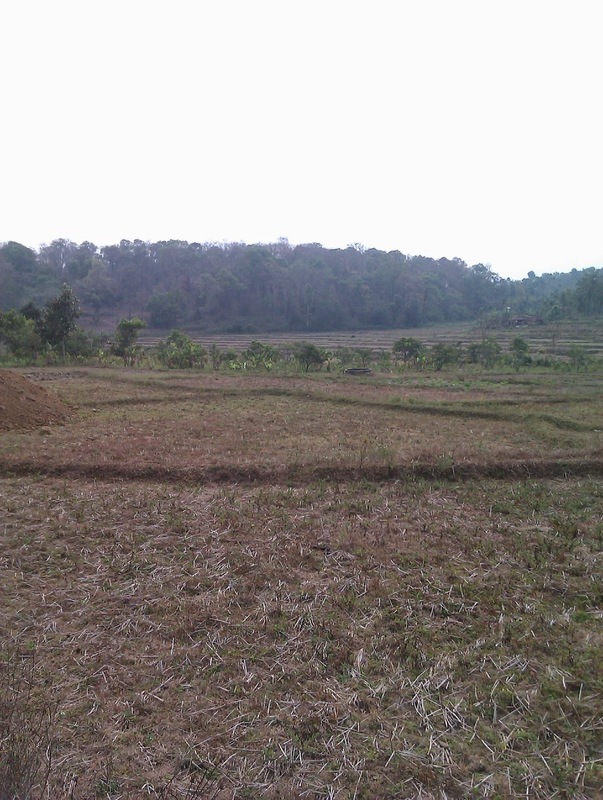 The host also told us stories about wild elephants straying in their fields and destroying the crops. They had a licensed Single barrel rifle for their self defence but hope they never have to use it We walked through the property, climbed up the tree house just to see how it looks. He also explained the rubber extraction process, they make incisions into the bark and collect the fluid in vessel which is later on processed . 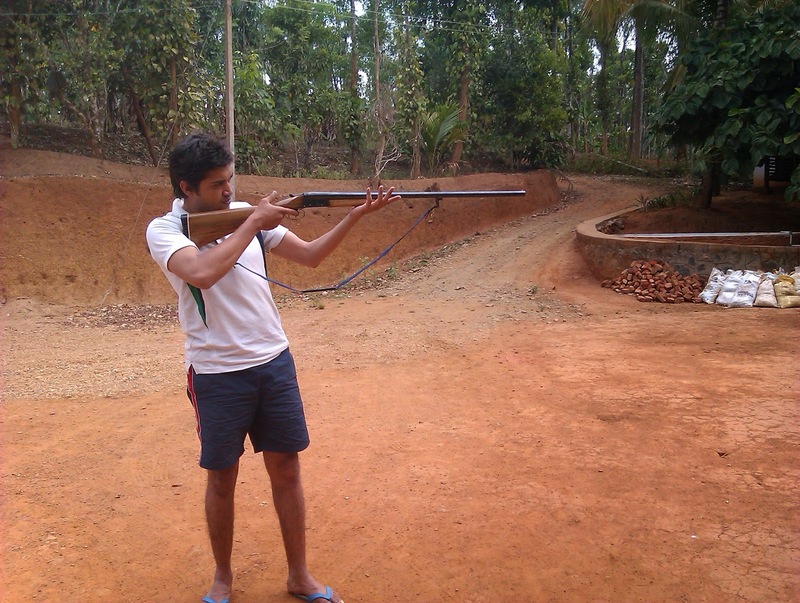 He let us hold his rifle but sadly we could not fire any rounds although he had a set-up for target practising. (cant remember why). Posing with the empty rifle! In the evening the host family had set-up a candle lit dinner for us in the hut.. They had prepared so many varieties and it tasted as good as it looked. I totally loved it with the darkness and sound of the wild around us as we enjoyed our dinner in the candle light. I had always dreamt of a place like this of my own , felt like seemed like they were living my dream. Thanks Ankit, It was a couple of years back and i could not recollect all the details but it was a great trip. 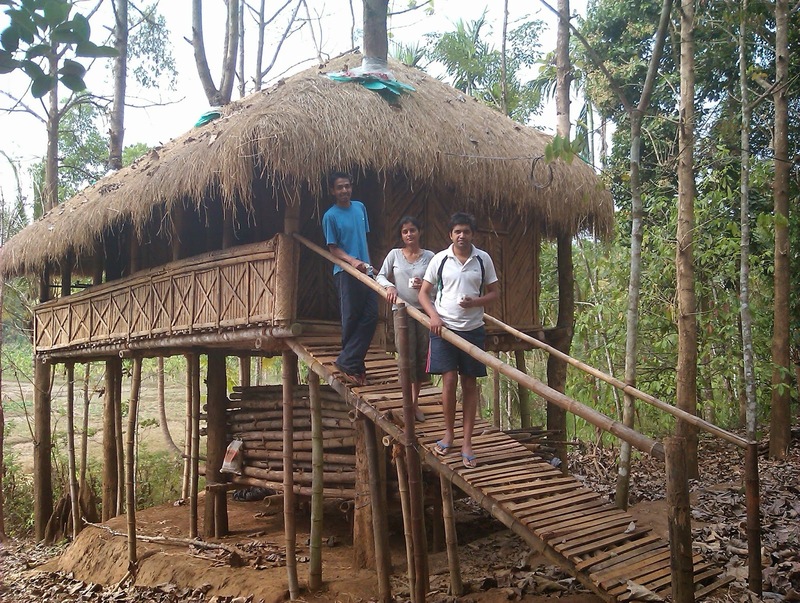 Where in Wayanad was this home stay? If u don't mind sharing the address n contact.